Aareon UK (www.aareon.co.uk ) has announced the latest release of its Aareon 360 platform, the evolution of its widely acclaimed self-service solution. The portal platform enables Housing Associations and Social Landlords to digitally transform their customer, staff, supplier and property management operations. Using the system’s online hub, customers can now check tenancy information, review financial balances, raise repair booking appointments and report anti-social behaviour issues. Aareon 360 Customer Portal also includes a payment plan component, enabling customers to set up a payment agreement and pay any arrears in a planned way. Functionality such as specifying an amount per week (or other periods eg. fortnightly or monthly) or an amount to be paid off on a previously agreed date provides the greatest possible flexibility. The Aareon 360 Customer Portal also incorporates a very popular income and expenditure budgeting facility. With a set of configurable questions, this can be used to help customers to calculate their current financial status, submitting it directly into their housing management system, if desired. Users can then save progress, generate documents and request follow up visits as required. The system will also offer the ability to interact with data from devices located within the tenants’ properties where it is able to create alerts and events on the back-office systems, as soon as they are required, and without human intervention. 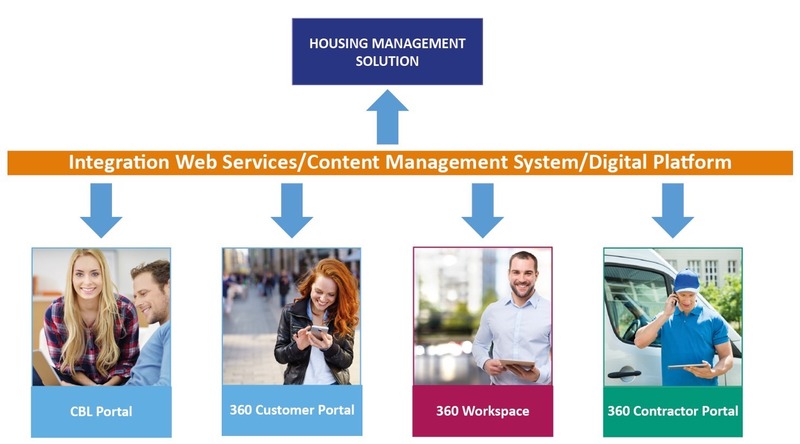 Paul Lock, Product Manager of Aareon UK had this to say, “360 delivers a full picture of your ‘housing world’ no matter who you are. In delivering digital transformation the new system helps the social landlord to drive value for money, boost efficiency and to place its customers at the heart of its business. This empowers them to self-serve through the latest functionality 24/7/365. This press release was distributed by ResponseSource Press Release Wire on behalf of The Right Image PR & Marketing Group in the following categories: Home & Garden, Personal Finance, Business & Finance, Education & Human Resources, Manufacturing, Engineering & Energy, Computing & Telecoms, Transport & Logistics, Construction & Property, for more information visit https://pressreleasewire.responsesource.com/about.